Google India today announced the Google Home and Home Mini Smart Speakers with Google Assistant. The Standard Home is priced at Rs. 9,999 while the Home Mini costs Rs. 4,449. Find my phone: When you lose your phone in the couch cushions, your Assistant can find it for you. “Hey Google, find my phone” will ring your Android phone (even if it’s on silent) or your iPhone. Enable night mode: In night mode, Mini’s lights dim and the volume lowers so that you you don’t disturb others in your household when it’s late (or early). Set a default TV or speaker: Choose a Chromecast-connected TV to be your default screen, so you don’t need to mention the device's name in your voice command. When you say “Play yoga videos,” they’ll play on the TV you’ve set as the default. It works the same way for speakers connected to Chromecast Audio—you can designate a group of speakers that cover several rooms (“first floor,” for example) as the default. Then say “Hey Google, play workout playlist” and it will automatically start playing on that group of speakers. 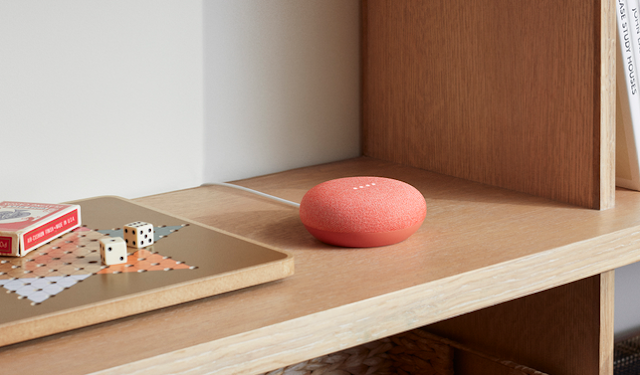 Both the Google Home and Home Mini will be available starting today at Flipkart, Reliance Digital, Croma, Vijay Sales, Sangeeta Mobiles, and Poorvika Stores.